Some of you may be familiar with Australian-born, Canada-based rapper Cee, who in August 2014 connected with Phoenix, AZ based craft beer merch company BrewHeads to release what we believe is the world's first 100% dedicated craft beer anthem ('BrewHeads'), along with a super limited edition merch collab. His off-kilter blog, Beer & Other Sh!t, has been around since early 2011 and documents his craft beer journey through reviews paired with ridiculous selfies. 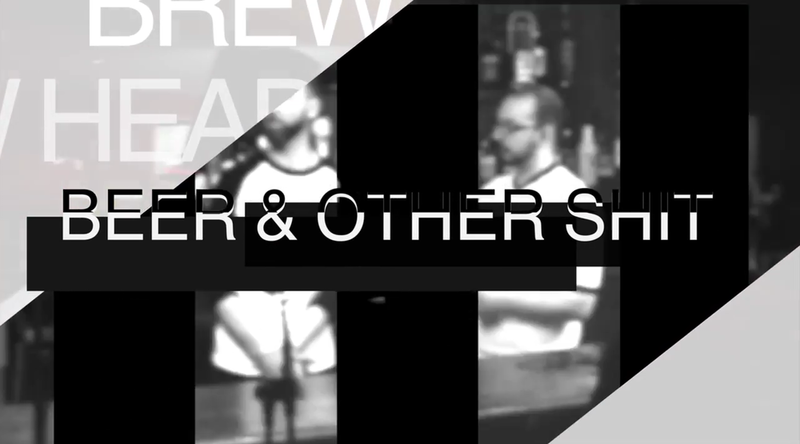 Cee recently took his passion for beer a step further and teamed with good friend Scott Cole for Beer & Other Shhh: The Podcast, and now the pair roped in Montreal sound engineer/comedian Joey Two-Wolves for Beer & Other Shhh TV! Since they had already tapped into the blog and podcast worlds, it was only a matter of time until they took their love of hops, malt, water and yeast to the (not-so) big screen. Expect a live version of the podcast - crude, honest, straightforward and entertaining, the aim is always to help the layman understand and embrace craft beer, one bottle at a time. Check out the pilot episode - any blog or social media love is immensely appreciated! Shot and edited by Andy from Clic Star Media. Original Gentlemen are a Montreal based beard grooming company, with products including beard oil, beard shampoo, beard combs and shaving products. Use the coupon code BEER when you check out to receive 10% off your order. BrewHeads are a dope craft beer merch brand with gear ranging from beanies to snapbacks, leggings to sweaters, and tees to hoodies. Use the coupon code BAOS when you check out to receive 15% off your entire order. High Season Co. is a social media, branding, event management, PR and artist management company based in Montreal and Toronto. Contact the team, let them know you heard about them via the Beer & Other Shhh podcast and they'll take extra special care of you. The Movement Fam is an independent record label based out of Toronto and Montreal, with artists Cee and Notion (and more to be announced soon). Notion is now offering 10% off his Mixing, Mastering and Production services via Illnote Studios. Contact us, let us know you heard about it via the podcast/video and you'll receive 10% off. Subscribe to the podcast via iTunes, and if you dig it, please spread the word! Cheers! Logo by Joshua Telfer. Photo by Iskander Ben Amor.